In their newest audiobook bundle, Humble Bundle presents 16 dramatized Doctor Who serials for a minimum of $15 – with you choosing how much of that goes to charity! We’ve taken a listen and – for fans of the Doctor, like us – we find this a must buy! Each features dramatization with souhnd effects, music and cast. 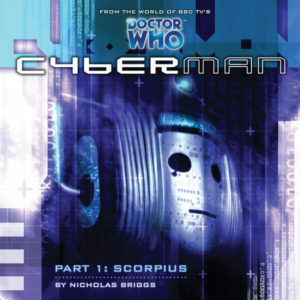 Our favorites are the Cybermen stories (4 audio serials) by Nicholas Briggs (Published September 20th 2005 by Big Finish Productions) are firmly rooting in the Doctor Who world, although the heroes are all human. Humanity is about to become extinct with the Orion war getting larger, we follow these stories to see how they handle their looming destruction at the hands of the Cybermen. Like true serials we don’t ever get a full conclusion (do you want Doctor Who to end?) but we do get a fun adventure and likeable characters.